Jakarta. 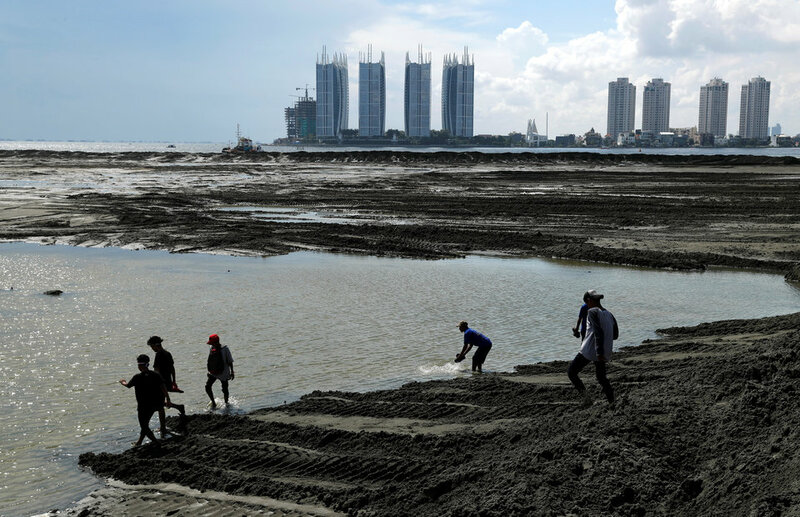 Antigraft investigators are pressing ahead with a probe into alleged corporate corruption surrounding bylaws for a reclamation project in North Jakarta, a spokesman said on Wednesday (15/11). An earlier investigation saw influential businessman Ariesman Widjaja convicted last year. Ariesman is the former president director of Agung Podomoro Land, whose subsidiary Muara Wisesa Samudra develops of one of the 17 islands off the northern coast of Jakarta in a controversial megaproject that was once halted over regulatory and environmental concerns. Investigators from the Corruption Eradication Commission (KPK) were scheduled to question Muara Wisesa chief executive Halim Kumala on Wednesday. Leaving the KPK headquarters in South Jakarta, Halim said he was not questioned and arrived only to submit documents. "It's the documents that are examined," Halim told reporters, refusing to elaborate. KPK spokesman Febri Diansyah also declined to comment by saying it was an initial probe. "We're currently digging deeper into facts that have already emerged from the initial investigation," he later told reporters. If found guilty of benefiting from graft or not preventing it, the companies involved can face fines or have their assets confiscated. Ariesman was found guilty of giving Rp 2 billion ($147,780) in bribes to former city councilor Mohammad Sanusi. Sanusi and Ariesman were sentenced to 10 and three years in prison. "The current probe is a follow-up on earlier verdicts," Febri said. Antigraft investigators have questioned several city officials this month, including Jakarta administration secretary Saefullah and Jakarta Council deputy speaker Muhammad Taufik. Jakarta's newly appointed Governor Anies Baswedan told journalists at the City Hall earlier this week that his administration will stop the reclamation project, but will use its completed parts for public benefit.